Commit yourself to looking good, with this Zoolander Ridiculously Good Looking T-Shirt! 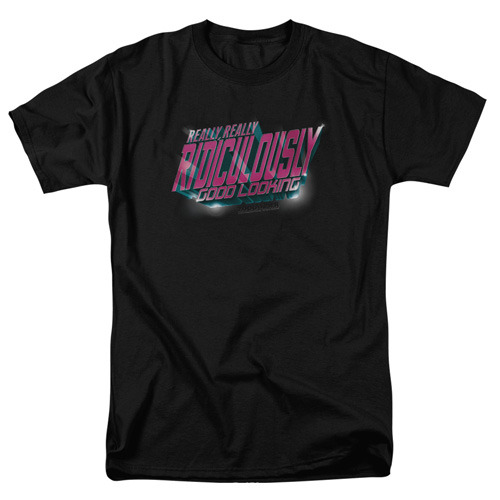 The t-shirt has the text "really, really ridiculously good looking" on it. The high-quality pre shrunk black t-shirt is made of 100% cotton. Machine washable.